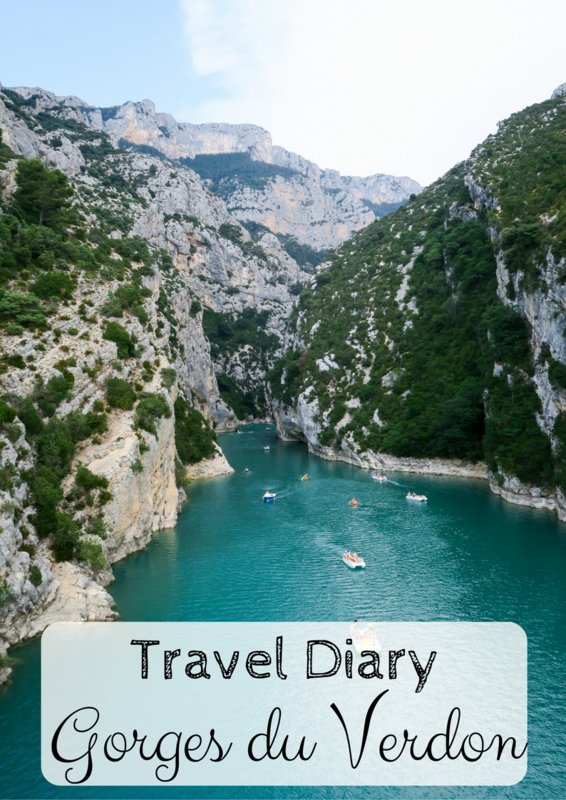 So this was one of my trips that didn't go to plan, at all! Oops! 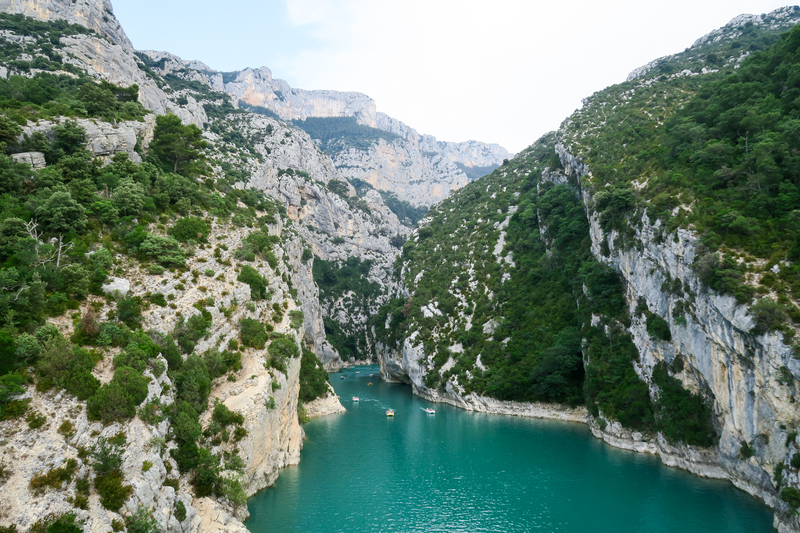 We set off from our place at 10am, heading straight to the Gorges du Verdon but happened to stop at the Cascade de Sillans on the way. We loved it so much that we stayed for around 4 hours!! 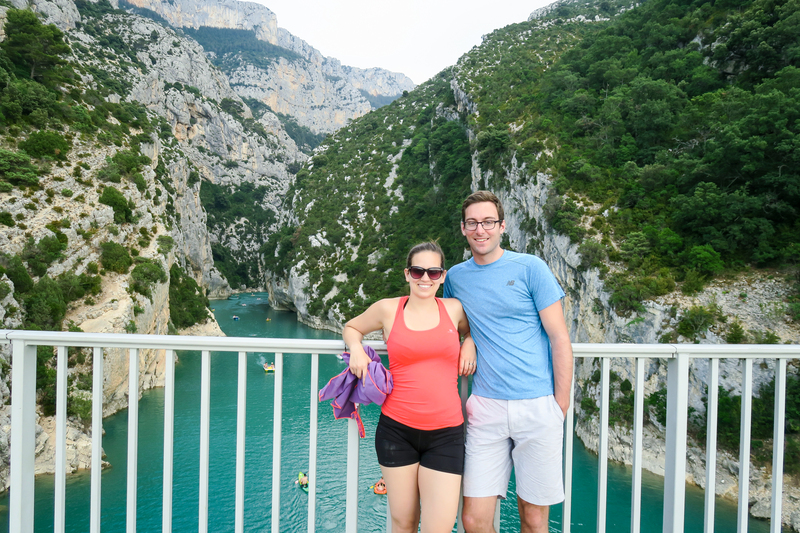 If you want to read about our time there, click here. 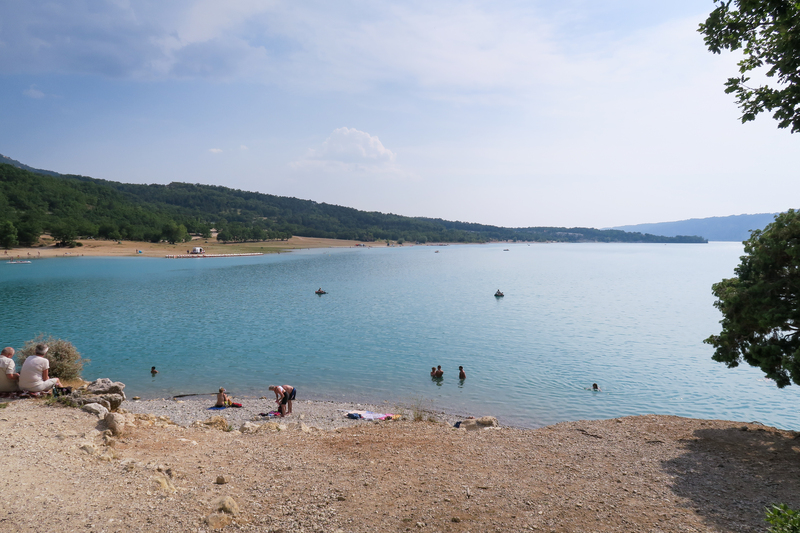 So, after driving for an hour or 2, spending around 4 hours at the most beautiful waterfall, and having lunch, we arrived at Lac de Sainte Croix. 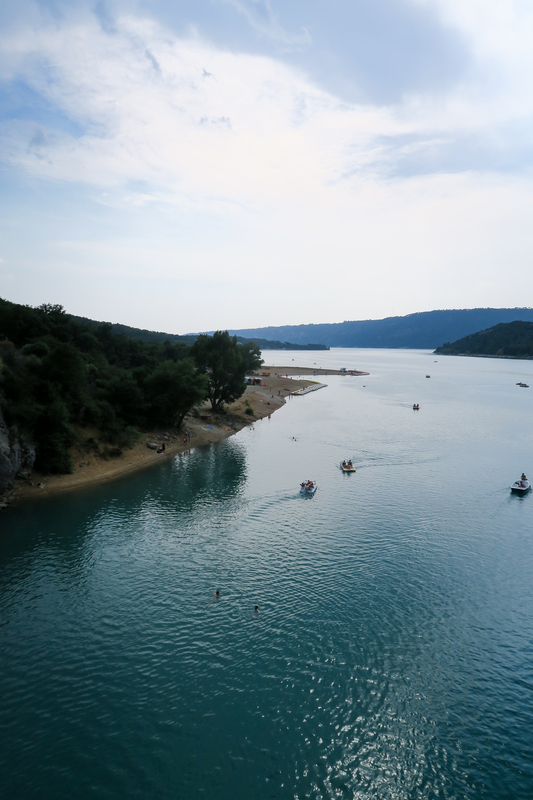 We arrived at the Gorges du Verdon at 5pm. The sun was still shining, it was still very warm and beautiful. 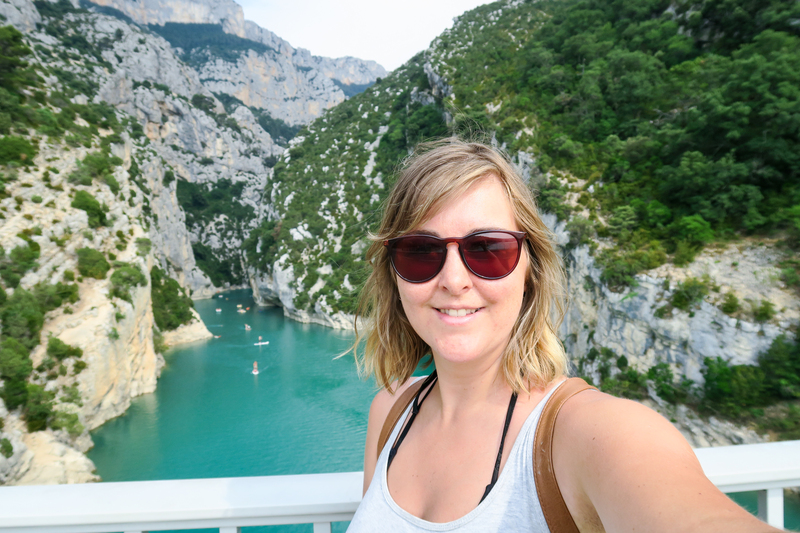 So we went onto the bridge to take the famous photographs that I have seen all over Instagram. 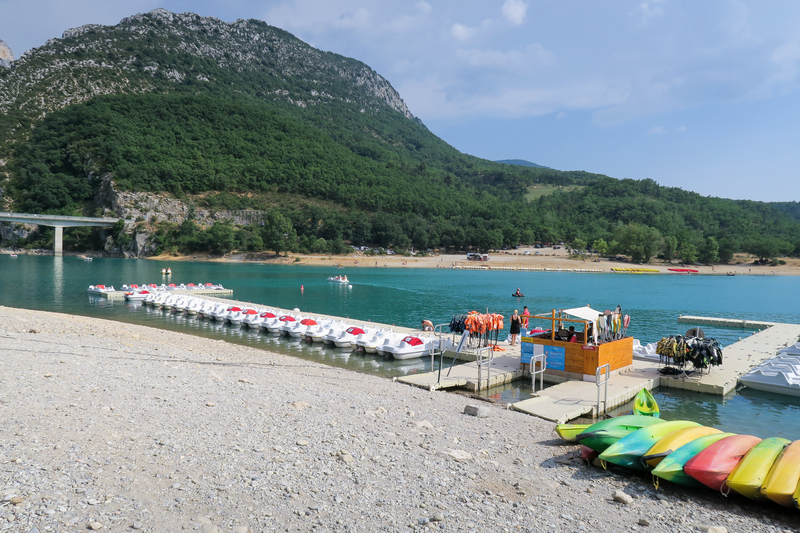 We then wandered down to the boats to hire either a paddle board, a canoe, a kayak or a pedalo. Got to the boats at 5.15pm and the last time to be able to hire a boat was 5pm. 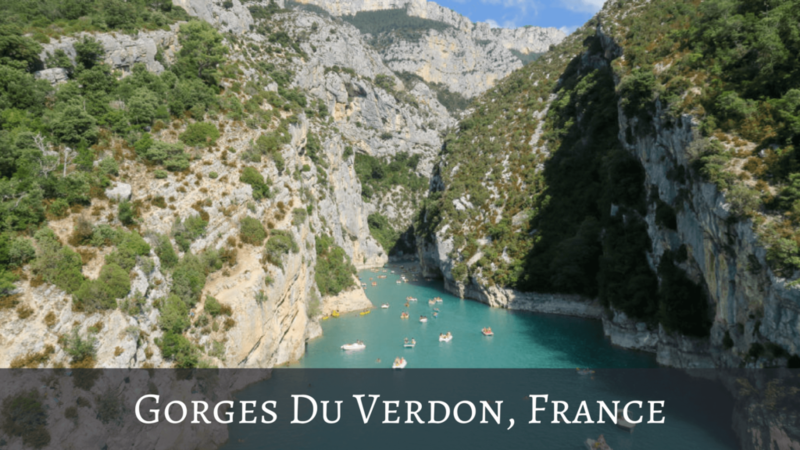 We had spent the whole day getting there, to hire a boat and explore the famous Gorges du Verdon, and we missed out on that opportunity by 15 mins! How annoying! 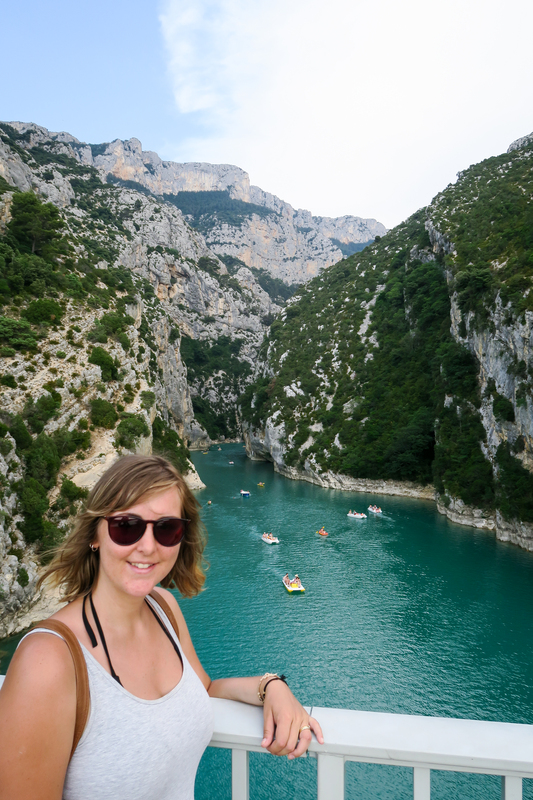 So anyway, I got in the water, and swam down the Gorges. I am one very determined woman, and when I want to do something, I will do it one way or another. Of course I will go back in the near future (before 5pm!) to hire a boat and will let you know how I get on, and if it was worth going back or not. And if swimming or boating was best! 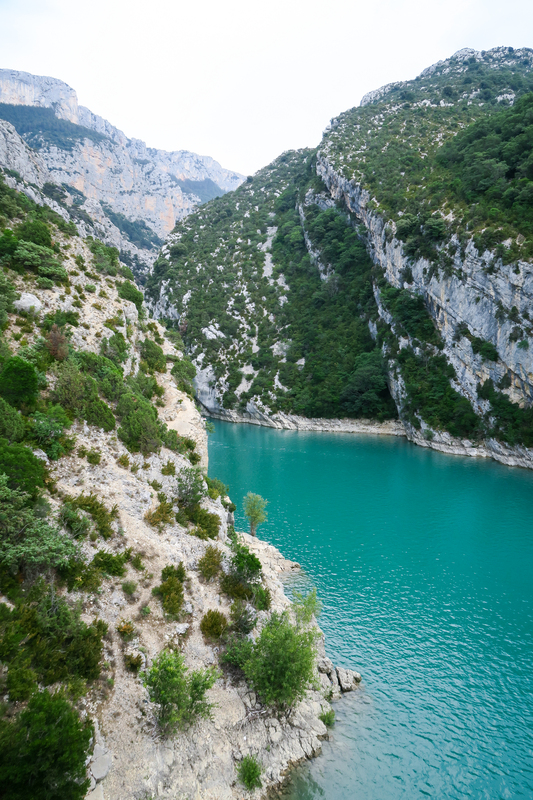 Book a stay in Alpes-de-Haute-Provence here..